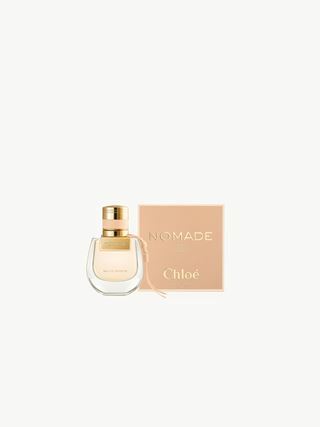 A radiantly feminine interpretation of the Eau de Parfum, Chloé Nomade Eau de Toilette embodies the free-spirited, modern woman imbued with timeless elegance. 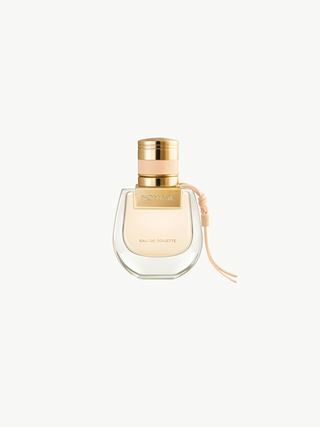 The fresh, uplifting fragrance draws on the vibrant sweetness of lychee and the multi-faceted floral nuances of freesia. 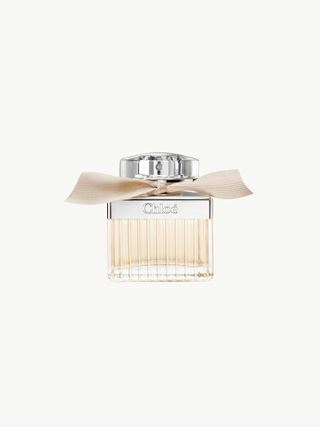 The bold, mineral character of oak moss exalt the luminous tones of this sunny scent. The round O-shaped curves of the bottle bring softness, contrasting with the strong, graphic metallic pieces. A sleek collar and a delicate, dangling pale pink ribbon bring confident yet feminine detail to the elegant design. Sales of this item are final. For further information visit the ‎‎Client Relations area‎‎.